Cycledrag.com is always striving to connect readers and followers with the best products and services. Recently we put the door-to-door, first-class motorcycle shipping service HaulBikes to the test and could not have been more pleased with result. 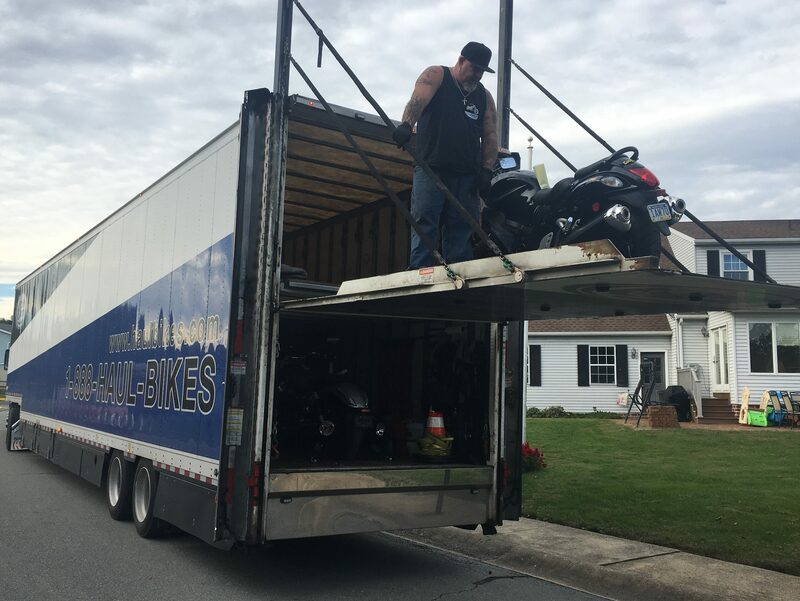 If you need to transport a motorcycle and want it handled with the same extraordinary care you would give it yourself, this company is for you. HaulBikes is a company that employs fellow bikers to take care of the machines. As you will see below, it’s bikers moving bikes. The Cycledrag.com Hayabusa was moved more than 2,200 miles and arrived in the same stellar condition it departed in. Emails and text notifications were provided along the way so the location of the motorcycle could be easily tracked. It’s an ideal service for anyone making a long distance sale or purchase. HaulBikes is cost-effective and timely. Find out more at HaulBikes.com. Make sure to check out HaulBikes.com and mention Cycledrag.com for your next big move.